Conventional healthcare construction costs are notoriously high – decanting a space, infection prevention measures, HEPA filters and monitoring all add up. Not to mention loss of productivity and efficiency when the environment is in a state of flux. 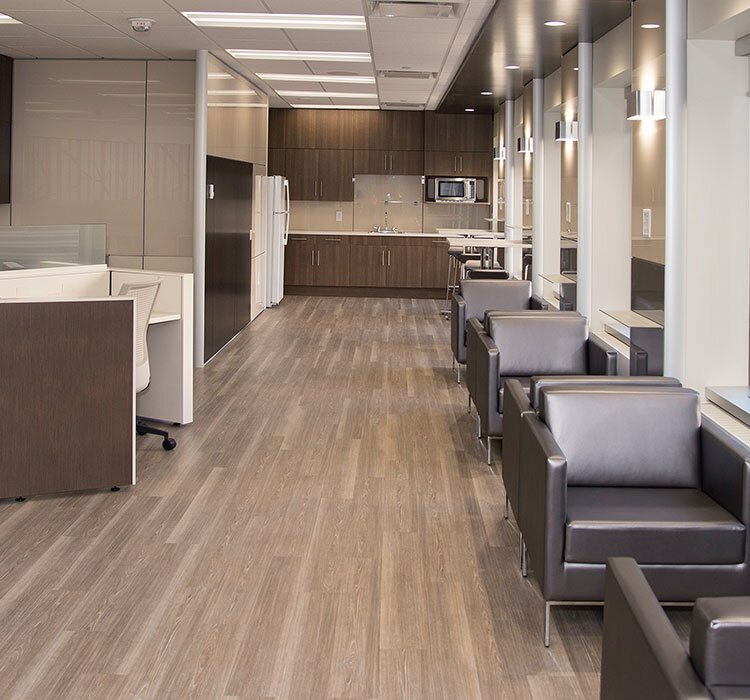 These costs were top of mind for the Facilities Engineering team at London Health Sciences Centre when they chose to work with Verto360 and DIRTT in order to breathe new life into the Cerner Centre. 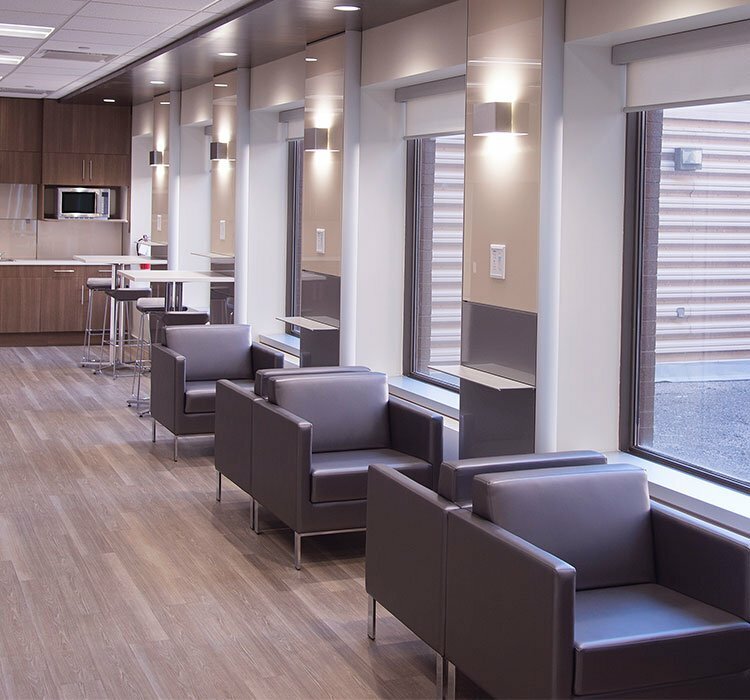 This under-utilized auditorium style space was converted to house executive offices, meeting rooms with an interactive workspace and lounge area for physicians. 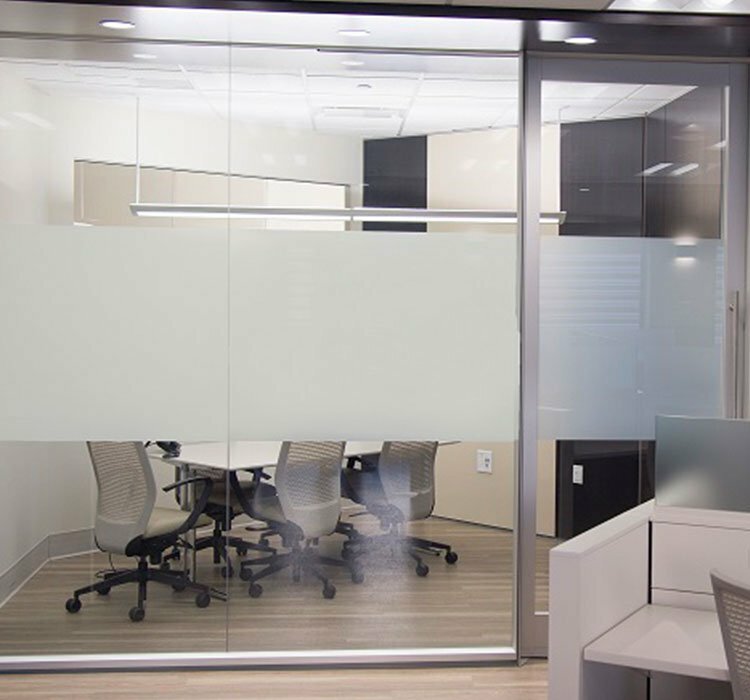 The entire fit out was completed with DIRTT, including the wall, millwork and plug-and-play power and was installed by a crew of 3 in only 4 days! 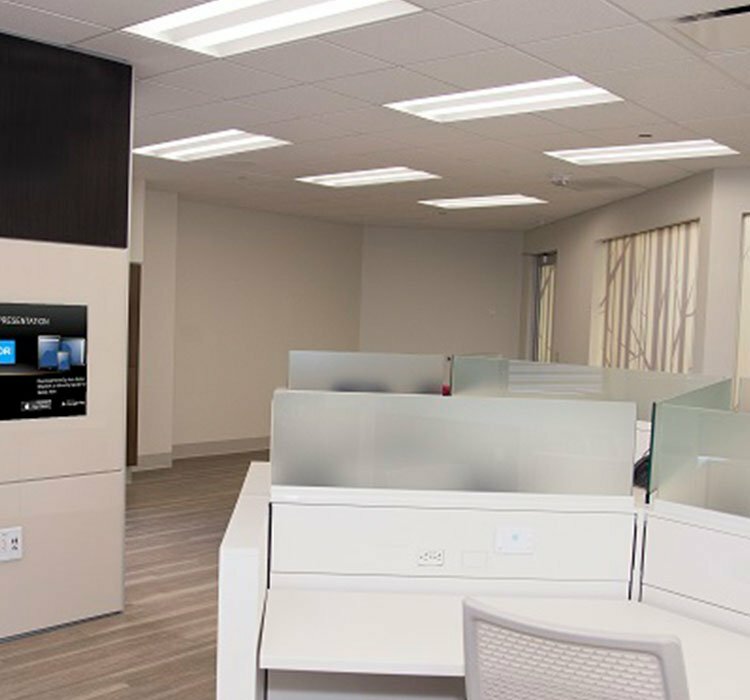 Working closely with HDR Architects, Verto360 created an environment reminiscent of a luxury hotel lobby featuring charging stations for the physicians’ numerous devices, and collaboration zones with ample writeable surfaces and integrated technology. Mechanical shafts and concrete block walls are clad with DIRTT curtain walls in order to incorporate power and technology into the space and enhance the functionality of the environment. 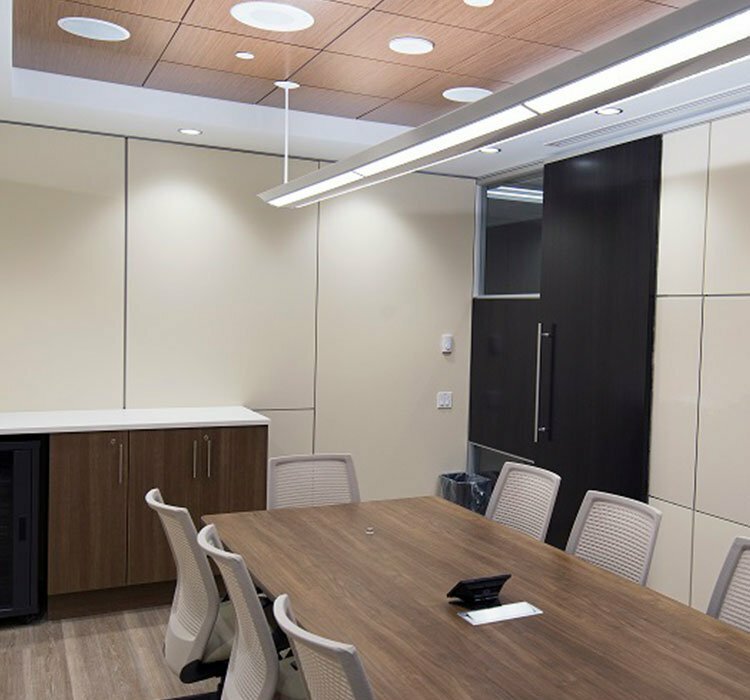 In addition to the imbedded technology, the space is jam-packed with cool features: DIRTT Millwork was used to create a fully featured kitchen, a business centre, and custom A/V cabinets designed to house the hospital’s audio visual equipment and carts. The furniture in the Executive Offices is hung from the DIRTT walls, resulting in a 12% savings in the furniture budget, and aesthetic details abound in the veneer sliding doors, stacked glass and solid walls, and back- painted glass writing surfaces. Since its opening, the Cerner Centre has been in high demand and is touted as the most collaborative space within the hospital campus. To the delight of the LHSC Facilities team, this was all achieved quickly, cleanly and cost-effectively!